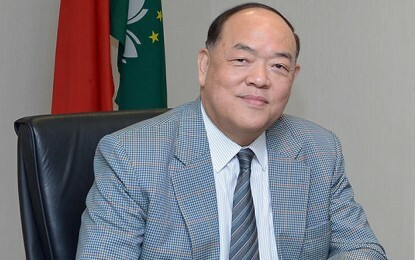 The chief executive of Macau casino operator SJM Holdings Ltd has confirmed the company has not yet asked the city’s government for an extension of its current gaming concession, although those rights are due to expire in March next year, and the firm’s costly new Cotai project is not scheduled to be completed until the end of this year. Ambrose So Shu Fai (pictured) was speaking on the sidelines of a Chinese New Year banquet hosted by the company and attended by the city’s leader, Chief Executive Fernando Chui Sai On, and by Paulo Martins Chan, head of Macau’s gaming regulator, the Gaming Inspection and Coordination Bureau. Mr So was quizzed by local media about whether an extension of gaming rights had been asked for yet. The CEO had said previously the group would like one to put it on the same 2022 finish date as four of the other local concessions. Macau law says a formal request must be made and eventually approved at least six months before the end of SJM Holding’s current concession. Macau gaming law states that the term of a gaming concession cannot exceed 20 years. It also states that if a concession is awarded for a period shorter than 20 years, the government may authorise an extension, provided it does not exceed the maximum term stated in the law. SJM Holdings’ concession was granted for 18 years only. According to the law, the licences of the existing holders can be extended for a maximum of up to five years from the 20-year term. 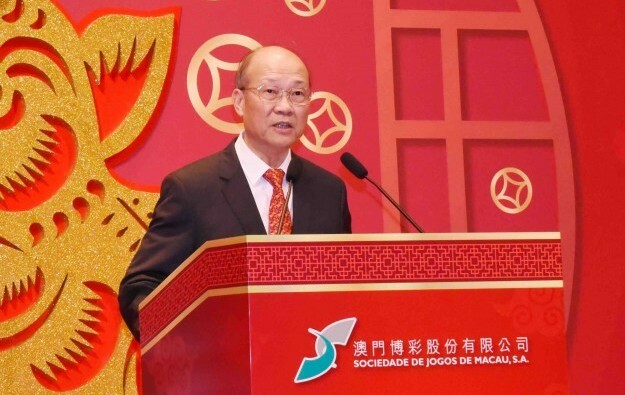 The SJM CEO was also asked about a January announcement that the interests of Pansy Ho Chiu King and the Henry Fok Foundation – two key shareholders in SJM Holdings’ privately-held parent Sociedade de Turismo e Diversões de Macau SA, also know as STDM – had formed an alliance for control of SJM Holdings. He denied any suggestion that it was part of a factional struggle within the family of SJM Holdings’ founder Stanley Ho Hung Sun for control of the casino operator. “I think this is an opportunity to say to the public that ‘We really do have one voice’ rather than having the media – or whoever – speculating,” he stated. He was also asked whether he thought Ms Pansy Ho was a competent leader within the Macau casino industry in terms of the work she had done at MGM China Holdings Ltd, which has Macau gaming rights as a sub-concession of SJM Holdings. He added: “Who runs SJM is really up to the shareholders. It is not for me”. The CEO was quizzed additionally on the outlook for the Macau gaming market in the rest of 2019, given that January saw a year-on-year fall in casino gross gaming revenue, the first such monthly decline since 2016. He said the opening in October of the Hong Kong-Zhuhai-Macau Bridge had “really bumped up” the number of people coming to Macau. In late January the city’s Statistics and Census Service announced nearly 36 million visitors came to Macau in 2018.